As much as we, men and women are against the twisted values of feminism and their manginas, one must remember that most women, a strong majority are not feminists and still enjoy the chivalry of a man. Even if, someone does not appreciate your move as a man, someone else will notice. Maybe even a younger one. Chivalry is not a white knight issue, totally different, it's natural law. 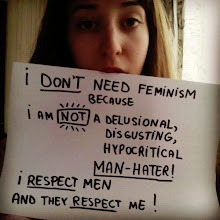 If we, as men, behave according to our dislikes of what feminists and their mangina represent, aren't we doing exactly what they want? No matter what is said in this upside down society, we have to remember, women's freedom depends on men willing to defend them. If we want our daughters to be respected, we have to show respect with our behavior.